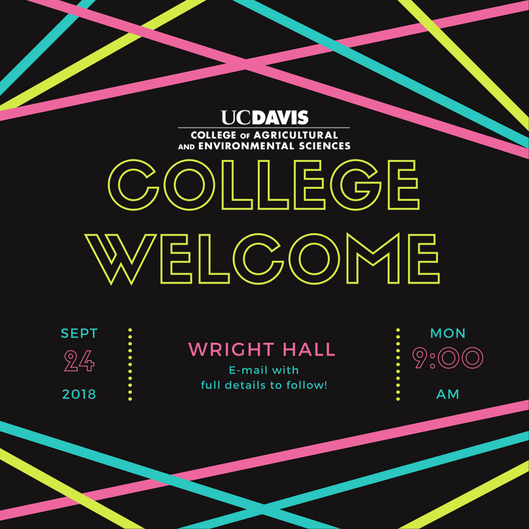 New students to the College of Agricultural and Environmental Sciences are invited to participate in the CA&ES College Welcome, where you will get a chance to meet other students in the college, faculty, staff and most importantly ... have fun! Please bring a smartphone to participate in an interactive activity. We will have Aggie Ambassadors and peer advisors available to show new students where their classrooms are located on campus immediately following the College Welcome.